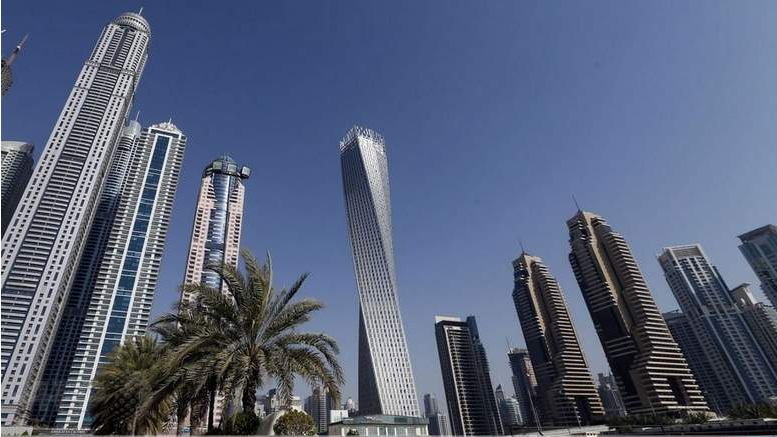 What is driving returns in the UAE property market? The regional real estate investment markets have undergone significant change in the preceding decade and it is widely regarded that the commercial market, in particular in Dubai, is now an established investment destination with an increasing amount of activity among private investors, investment funds and institutions. When we consider the returns of real estate investments, we have two main components. The first and most relevant is the income that the asset generates at the date of purchase and will continue to generate over the investment period. This is usually driven by the lease, with either fixed or market rental increases or reviews through the term. The second component is capital growth, which is only generated upon exiting the investment and is not fixed. As such, it relates almost 100 per cent to the market conditions at the chosen date of exit. The return is quoted as a yield — in essence this is the percentage return that the asset generates on an annual basis for instance. An asset acquired for Dh50 million and generating a net rental every year of Dh4 million would give a yield of 8 per cent. There are many factors that have an impact on the returns, some of these are personal to the investor, some market based and others specific to the property. The way an investor acquires or funds an acquisition can have an effect on the return objectives, whether it is to pay down all the debt quickly to own as equity sooner or whether to maintain a steady-state payment through a longer life investment hold. One of the main drivers in the market forces affecting the investment acquisition and the returns are the basic fundamental principals of supply and demand. In this current market we are seeing a continued supply-demand imbalance with demand for institutional grade (strong tenant and long lease) investment product outstripping the availability of such products. This is particularly obvious in the Sharia-compliant sub-market, partially fuelled by the increased activity in real estate investment trusts, as well as from an increase in money from within the region looking to the UAE as a “secure” base for investment returns. This imbalance is forcing yields down resulting in lower returns to investors as they are having to compete in a very competitive market place and, as such, prices are strengthening. Other than the price paid by the investor, the other main catalyst for return is the revenue that the asset generates and the security of this income, i.e. the strength of the tenant as well as the length of the lease. The rents being paid and the correlation between this and the market rent will be important, especially if market based rent reviews or lease renewals are scheduled. If a property is over-rented, for instance, then the return when the rent resets to market will decline with the inverse also being the case. The demand and supply factors are also affected not just by the weight of capital, but also by physical changes in the market, for instance, announcements of new investment zones or specific value drivers. Changes to the investment zone status of a location could, subject to having the right assets, open up the zone to investors and provide a number of opportunities to absorb some of the pent-up demand. The occupation of the tenant and the basis on which it occupies the property has already been highlighted as one of the most important factors driving investment returns. The return is calculated on the net rent, i.e. the rent the investor gets after covering the relevant costs. Service charges are increasing in commonality and these assist, often on an open book or full-disclosure basis, the landlord to recover the various costs that are incurred in managing or operating and maintaining the property and its common areas, in some instances these also allow for the recovery of the various estate or master community charges. Should the tenant be paying only a net rent with the landlord being responsible for the other costs and outgoings, this not only imposes a financial burden as the net rent reduces and as a direct consequence the return is also affected. The factors affecting investment returns in the region are no different to those in other markets and with the dynamic nature of the investment and tenant occupational markets, it is important that investments are actively managed, even if no specific asset management strategies are adopted, to have constant dialogue with a competent property advisor and ensure that returns can be predicted where possible going forward and importantly advise on how and when to exit to avail of the second type of return — capital growth.